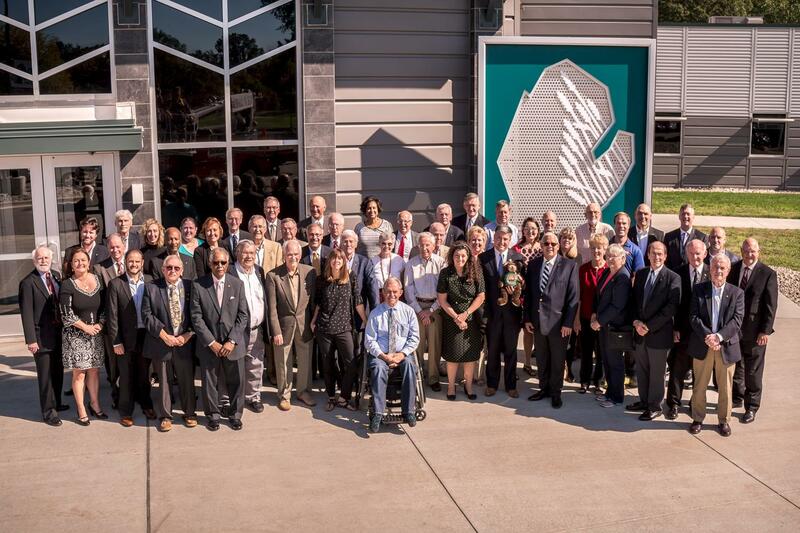 Welcome to the Rotary Club of Flint! 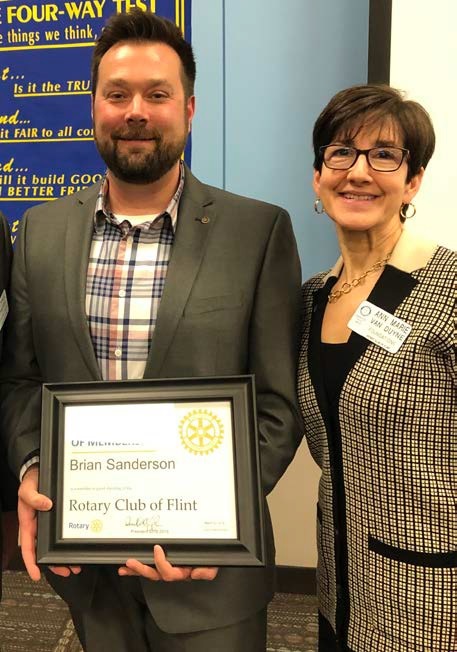 The Rotary Club of Flint welcomes it's newest member, Brian Sanderson. We are excited to have you join us! Flint Rotary Attends a Firebirds Game! 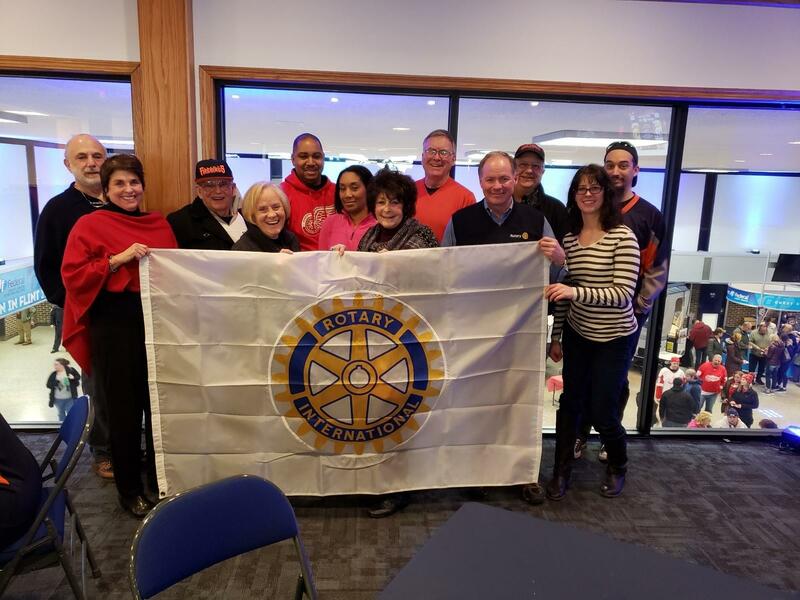 Flint Rotarians and their guests at the Flint Firebirds game last Saturday. 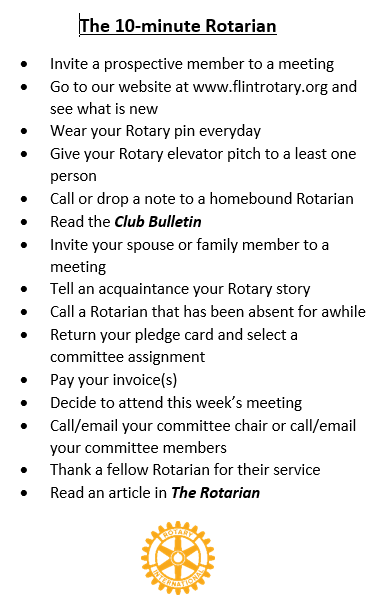 Just a reminder there is a not a regular meeting this week but if you would like some great food and Rotarian fellowship please join us at noon at the White Horse. Last Friday with another full house we heard from City of Flint Mayor Dr. Karen Weaver and her perspective on the state of our city. A special thank you to our April Program Chair Jerry Preston and Fellowship Chair Jerry Knoodle for their Service Above Self. Last week’s attendance Rotarians 57, Guests 15, total 72. NO MEETING - Join us at noon at the White Horse!